All you need to do is to board the flight that takes you to the land of culture, history and heritage, Rajasthan. Explore the locations that are known for their uniqueness. 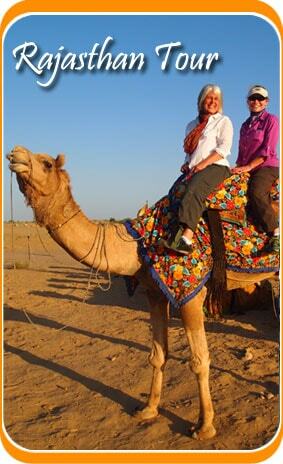 And have an amazing journey to 9 nights 10 days Rajasthan tour. As you arrive at Jaipur Airport/Railway Station proceed for check in at hotel. Later as you have rested for a little while, in the evening visit the location like the Birla Auditorium, New Vidhan Sabha, Birla Mandir and Jawahar Kala Kendra. Later proceed to experience the best Rajasthani Night in Chokhi Dhani. Return to hotel for overnight stay. 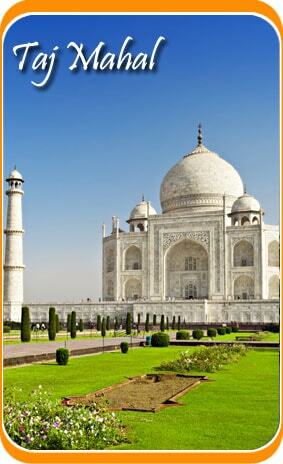 The day will be utilized while you will explore the Jaipur city and make some best memories. For the first half of the day, let you visit some bazaars and the monuments and later half post lunch will be spent in Amber Fort. Enjoy the Light and Sound Show in Amber Fort and return to hotel for dinner and overnight stay. We leave for Bikaner in the morning post breakfast and proceed for a check in at hotel on arrival. Later we will proceed for a short sightseeing tour of the city and visit the Bikaner Fort, palaces, museums and temples of Bikaner. Later in the evening we shall pay a visit to the Prestigious Camel Breeding Farm and the Karni Mata Temple. Return to hotel for dinner and overnight stay. Early morning departure to Jaisalmer and check in at hotel on arrival. The day will be free for leisure and in the evening explore the views of Gadisar Lake and Vyas Chhatri. Return to hotel for dinner and overnight stay. Overnight will be at Jaisalmer. As we start our day little early in the morning, we shall drive to the Jaisalmer Fort, Jain Temples and Patwa Haveli. And later in the evening we will proceed for the Arabian Night in Sand Dunes and experience the typical Desert night in Desert Camps with Rajasthani Programs. Overnight stay at desert camps. Drive to Jodhpur and check in at hotel. Later we shall proceed for a small sightseeing tour of Jodhpur and start with magnificent Mehrangarh Fort, Jaswant Thada, Ummaid Bhawan Palace and Museum, Clock Tower and local markets. Overnight at Jodhpur. Post your lavish breakfast proceed for Mount Abu, the only hill station of Rajasthan. Check in at hotel on arrival. Later leave to visit the Delwara Temple, Nakki Lake, Tod Rock and the sunset point. Overnight stay at hotel. Today we shall proceed for Udaipur and check in at hotel on arrival. Later proceed to visit the City Palace, Bagore ki Haveli, Jagdish Temple, Pratap Smarak, Saheliyon ki Bari and Bhartiya Lok Kala Mandal. In the evening enjoy the boat ride at Lake Pichola and later return to hotel for dinner and overnight stay. Today post breakfast, we shall proceed to Jaipur and en route we will halt at Ajmer and Pushkar. Visit the Dargah of Khwaja Mouin-ud-Din Chisti at Ajmer and the only temple in the world of Lord Brahma at Pushkar. Later continue the drive and check in at hotel in Jaipur on arrival. Overnight stay at hotel. With an early morning breakfast, proceed to Airport/Railway Station for your onward Journey and your 10 Days Rajasthan Tour ends here.